Cumbria CC is set to vote on whether to approach the government with a proposal for reorganisation and moving to a unitary system, according to a report going before council next week. Members are being asked for their views on reorganisation at a county council meeting on 15 November. They are being asked if the council should “approach the secretary of state for housing, communities and local government to seek the government’s views on the potential for local government reorganisation in Cumbria”. Cumbria’s cabinet will then take a final vote on 20 December. Between March and September, the Cumbria Leadership Board considered three reports relating to local government reorganisation. The board is made up of the leaders of Cumbria, the county’s six districts, police and crime commissioner, and representatives from the area’s two clinical commissioning groups, among others. The report said that while members of the board were “supportive of change” the county was told in August “there was no shared view of a way forward between the district councils, and that therefore not all of the councils would be participating in the further work”. County leader Stewart Young (Lab) wrote for LGC in April on the need for the government to “take the lead” on reorganisation. The chasm between the centre and the local has never been bigger, with the former increasingly oblivious to its defenestration of the latter. 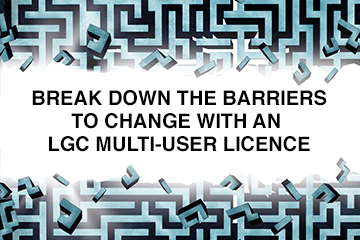 The battlegrounds over local enterprise partnership boundaries have been uncovered by LGC research. The five councils in Buckinghamshire are set to be replaced by a single unitary council covering the whole county, housing and communities secretary James Brokenshire has announced. More than half of senior council officers expect local government reorganisation will have to proceed in their area within the next five years, the LGC confidence survey has shown.